After a long and gruelling, almost painful ice age like winter, the summer of all summers has finally arrived. 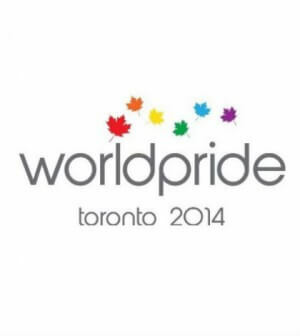 This year, the city of Toronto will be hosting World Pride 2014 or what we in the community are calling the Main Event. 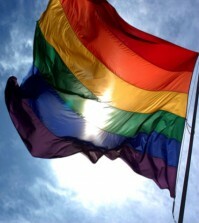 As per usual, every summer Toronto pride hosts many activities and events for every sector within the community. There will be street festivals and concerts during the day, an amazing nightlife at the bars and some very educational exhibits throughout the city. Not to mention, the line up of international performers like Martha Wash, Melissa Etheridge and Deborah Cox will make the festivities even more memorable. U of T Pride Pub: To start the week off right, make your way over to the Hart House Quad (7 Hart House Cir). This event is open to anyone over the age of 17 and will be free before 9pm and $5 after. DJs Craig Dominic and Cozmic Cat will be spinning the best tunes and a barbeque will be served. Nathan Phillips Square: Also don’t forget to check out the opening ceremony at Nathan Phillips Square – 100 Queen St W- around 7pm where artists Melissa Etheridge, Deborah Cox and Steve Grand will be performing. Pride wouldn’t be same without a fabulous drag performance to get you up on your feet and dancing like a maniac. Thankfully, drag queen extraordinaire Miss Conception will be delivering just that at a free concert in the village of Yorkville Park (Cumberland St). With music by Mia Martina and Dj Division to accompany her performance, you’re bound to have a great time. Woodys on Church: Mayoral candidate Olivia Chow is surprisingly holding a pride event from 9-11pm. There’s going to be performances from specials guests, dancing and most likely a campaign speech. After a weekend of partying, I would imagine one would like a little rest. The Glaad Day Bookshop, located on 598A Yonge st., will be holding a spoken word poetry night featuring very talented poets. Its low key and quiet for those who don’t like to party as much, but can still be a lot of fun. Day Tours and Events by Rainbow High Vacations: Rainbow High Vacation, the official tour operator for Toronto Pride, will be organizing various day trips and tours for those wanting to see the beautiful city of Toronto. Such events involve Queer Pub-crawls, Culinary Canoe Adventures and Toronto Craft Brewery tours. For full information visit their website at rainbowhigh.torontoworldpride.com. Laugh Out Proud 2014: Who doesn’t love a good laugh? At Yuk Yuks, located at 224 Richmond St. W, Robert Keller will be hosting a night filled with comedy. Stand up comedians like James Adomian will bring out their best queer friendly acts to have the crowd dying for more. Visit yukyuks.com for details. White Party: To set the tone for the weekend head over to Boutique Bar (506 Church St) for an outrageous party. The event will run from 7pm to 4am – yay extended liquor licenses! Everyone dressed in all white will be able to enter for free all night, and those without will have to pay $5. Trans Pride March: The Trans community will start their march around 7pm in George Hislop Park and continue south towards Yonge-Dundas Square. Go out and support the community! Orange is the New Black Party: Dress up as your favorite Orange is the New Black character and dance your face off at the Marquis of Granby on 418 Church St. Starting at 9pm and running until 3am, this event is bound to leave you wanting more from the weekend. Tickets are $20 in advance and $25 at the door. Visit https://www.picatic.com/orangeandblack. Family Pride: Saturday morning is all about families. Bring the family down to Church Street Public School at 83 Alexander St. for fun activities, food, face painting and more. After you drop the kids at home and ditch the family, head over to the Ryerson University Quad (Church St and Gerrard Rd) to watch the top four drag queens from Rupaul’s Drag Race perform. DJs The Cube Guys, Rosabel, Freemasons and the O’Halley Brothers will be playing music as well. The fee is $10. Visit greenspaceto.org. World Pride Parade: The biggest parade Toronto has ever seen is set to start at 1pm around Church St and Bloor St. Before you head over to the parade, stop by Café M (672 Yonge St) for a warm cup of coffee and a sandwich. Owner Michelle Wong will be there to tend to your every need. On a final note, make sure to drink a lot of water and wear sunscreen, but most importantly have fun!